Smart Energy GB is launching a campaign to demonstrate that the small action of requesting and getting a smart meter today can create big and important changes for tomorrow. 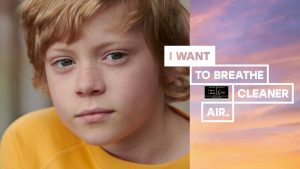 Breaking on 12th April, the ‘I Want’ campaign by AMV BBDO, will run across TV, press, radio, Out-of-Home and social channels (YouTube, Facebook, Instagram, and Twitter). Smart meters, currently being offered to every household in Great Britain at no extra cost, are the next generation of gas and electricity meters. They will bring Britain’s energy system into the 21st Century, forming an integral part of the creation of a smart grid which will mean that our energy networks are run in a completely new way. In the full 60-second film, we enter the imaginations of children as they describe the world they want to live in. 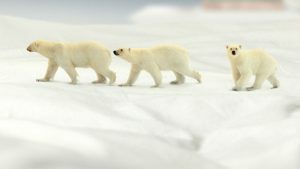 In each scene their daydreams blend with the real world to create extraordinary sights – the first features a girl daydreaming about polar bears unthreatened by the disappearance of polar ice. In the next, a boy imagines a world in which he can breathe cleaner air, another depicts the dream of more sustainable energy. The film, which will also run in shorter versions on TV and social media, cuts to a close up of a smart meter in-home display, on a table in a small flat in the city. 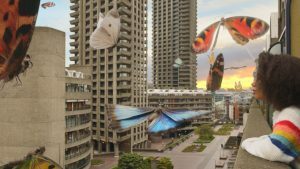 A young girl, who says she “wants to live in a beautiful world”, looks on as butterflies flutter around the building. It ends with a call to action, encouraging viewers to search “I want a smart meter”, or to use the Smart Energy GB phoneline. “I am enormously proud of the I Want campaign, which marks a large, organisational shift in strategy for Smart Energy GB. For the first time, we have focussed solely on the hugely important environmental benefits that smart meters can bring. We don’t think twice about recycling, a small step which can make a big difference and this is the mindset we hope to create around smart meters,” said Gavin Sheppard, Chief Marketing Officer at Smart Energy GB. The evolution in strategy is timely for two reasons. Firstly, because the nation now has a good understanding of what a smart meter is, and how to get one. Secondly, awareness of our environmental impact as citizens has never been higher, and so it’s vital that people are aware that they can take a small step to creating a big change, simply by getting a smart meter.